Growing up I always loved when I could get a Shirley Temple or a “Kiddie Cocktail”. As an adult I still love them just as much and often will choose a Shirley Temple over any other drink when we go out. 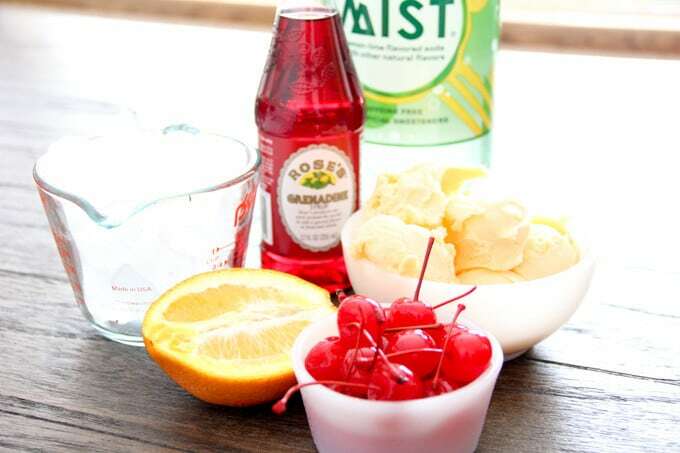 Because of my love for this sweet drink, I was planning a baby shower and decided to make a Shirley Temple with a twist! 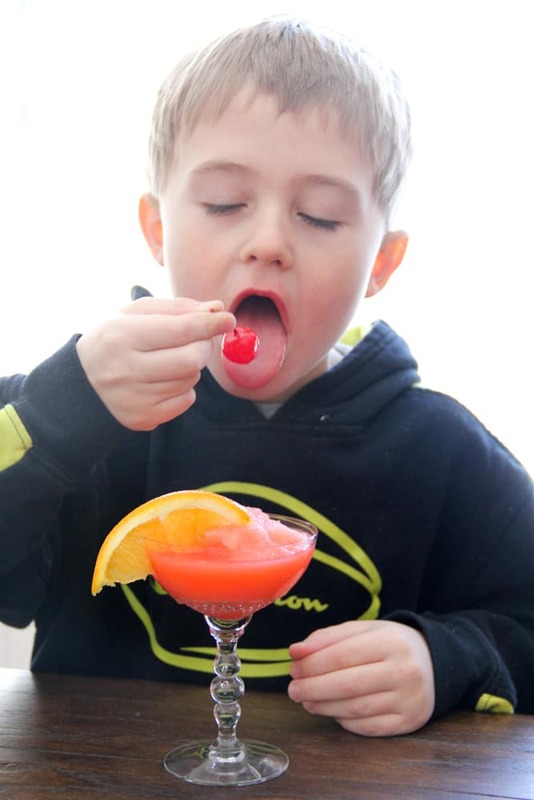 This frozen cherry orange drink was a total hit and I’ve made it so many times since then that I decided it was time to share the frozen June Bug recipe with you! 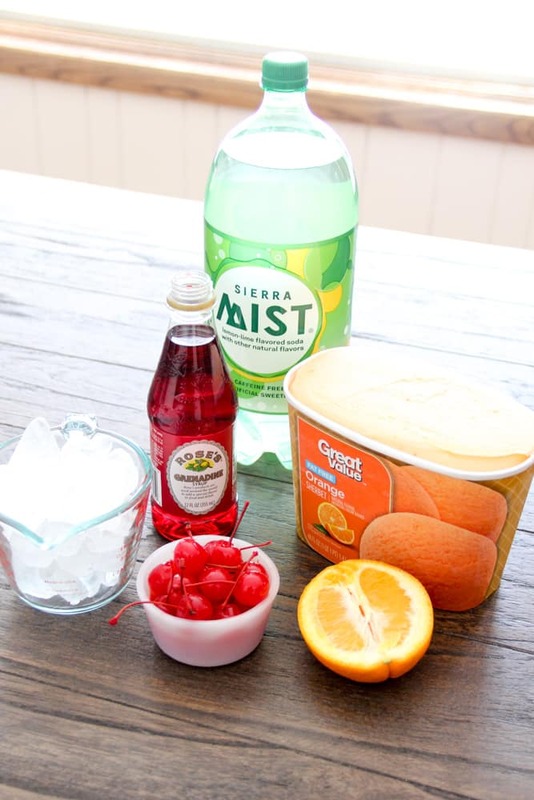 None of the amounts are super specific, but I just use some Sierra Mist, Ice Cubes, Orange Sherbet, and Grenadine. I blend them until everything is smooth, and then pour into glasses. Pretty simple huh?! Then I garnish with a orange slice and cherry. It would be adorable with a little drink umbrella too. Or maybe one of those swords with a few cherries on it? 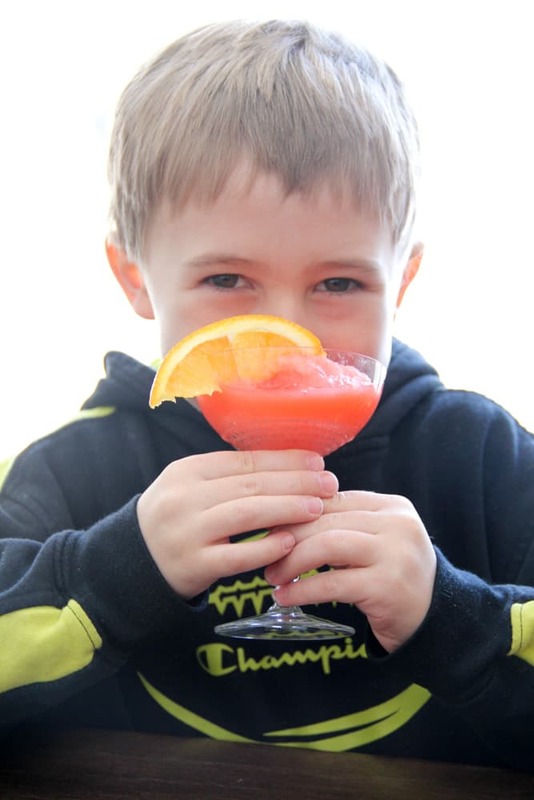 It’s a easy drink to just have some fun with! If you wanted to serve this as a punch rather than a blended drink you could simply just mix the ingredients in a punch bowl and it would be delicious that way too! 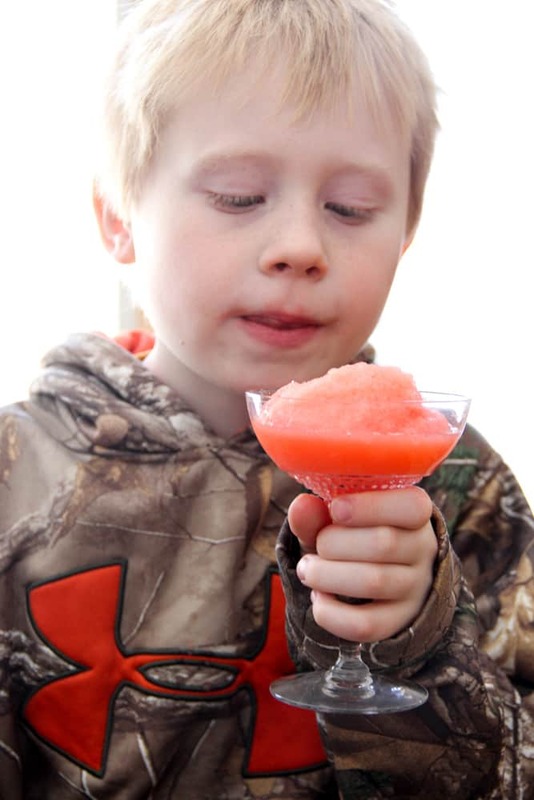 A sweet non-alcoholic drink recipe for a fun frozen drink. 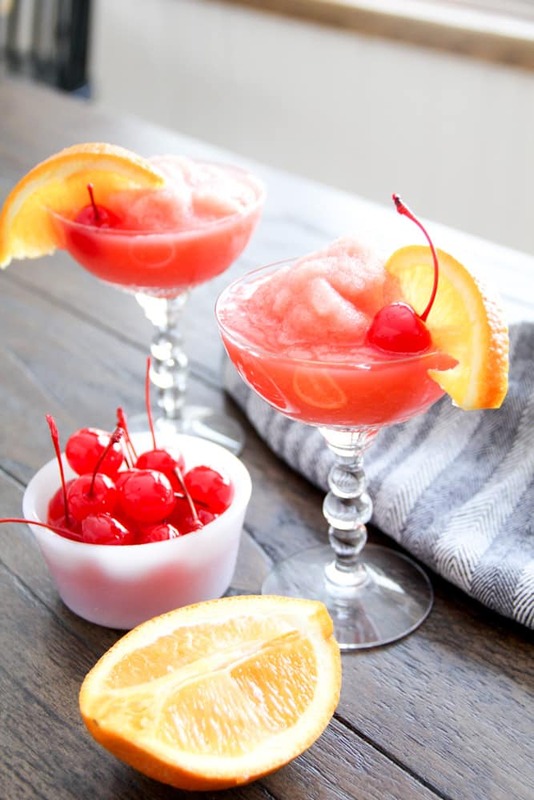 Pour into glasses and Garnish with Orange Slice and Cherry. 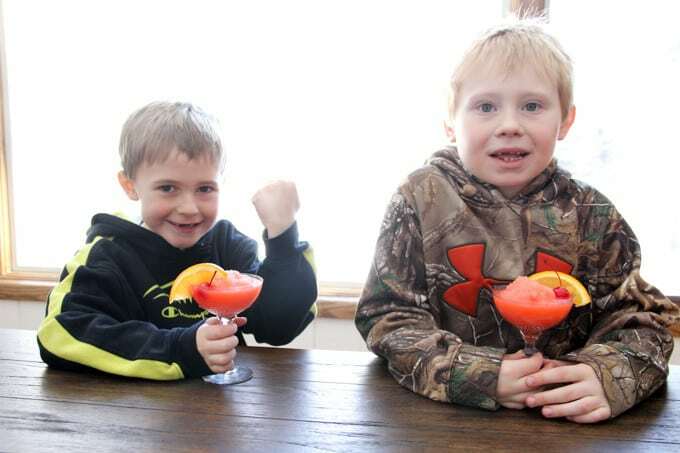 I’ve passed my love of Shirley Temples down to the boys, so they were pumped when I decided to make this fun drink to share with them! 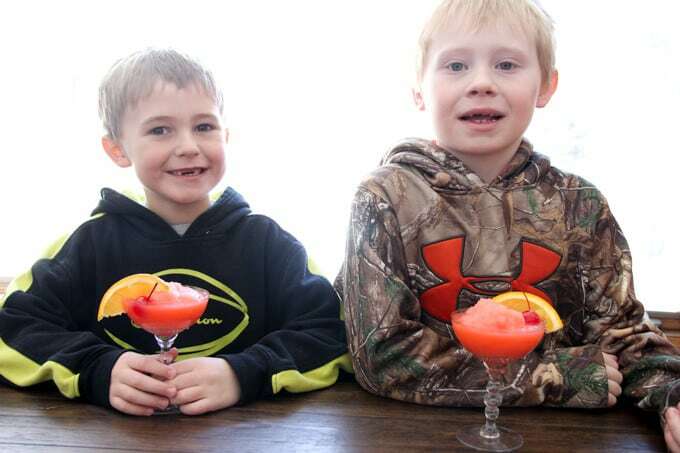 It’s always a special treat when they get to drink anything out of the “fancy glasses”! 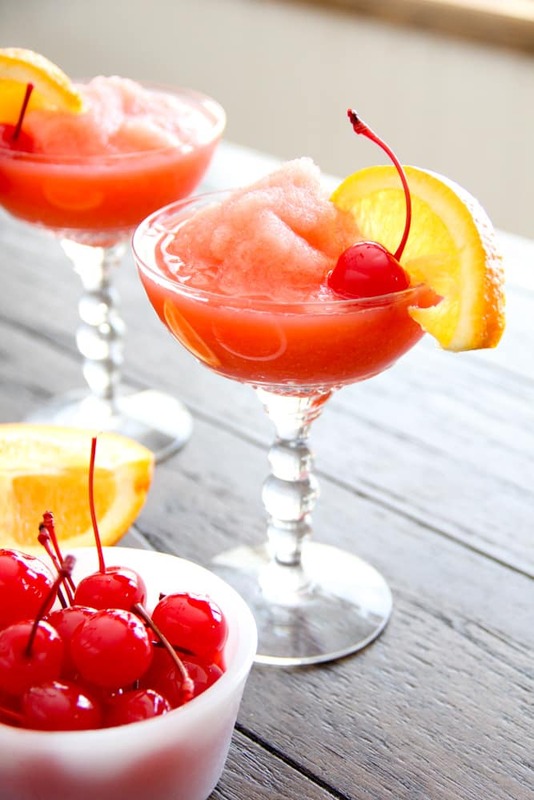 Of course the cherries were a hit and no fancy drink would be complete without them! Thanks so much frosting by and reading! 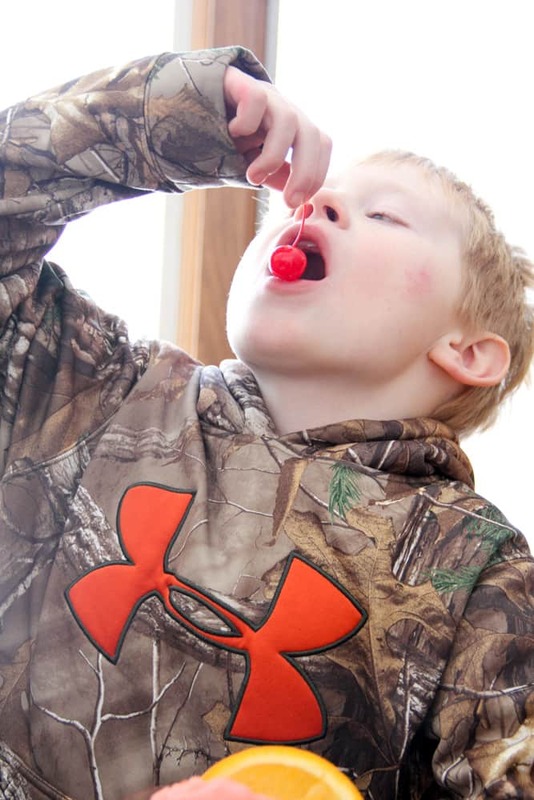 I hope that you love this sweet cherry recipe as much as we do! 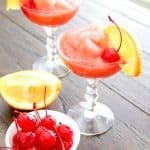 This sweet recipe post was sponsored by Wayfair.com. 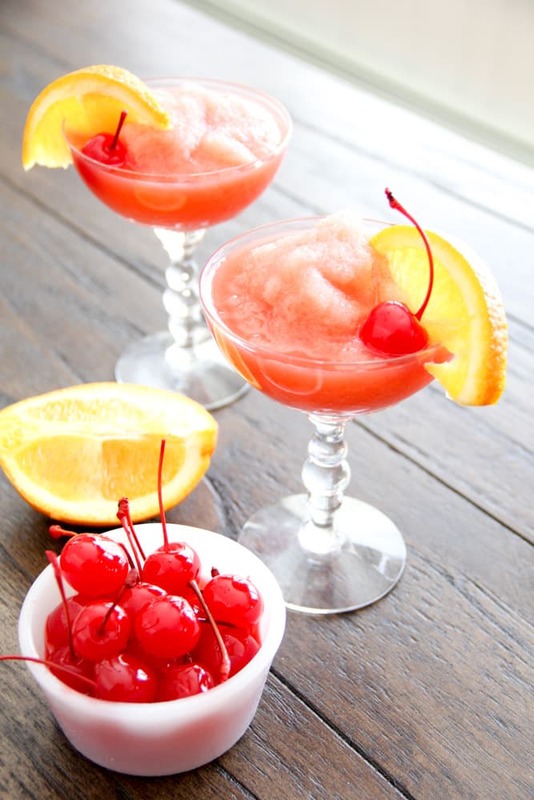 These sound so refreshing! I have been looking for some good non-alcoholic drink ideas, and this is one to put on my list.